Zahir-ud-din Mohammad Babur (February 14, 1483 - December 26, 1530) (also spelled Baber or Babar), emperor (1526–30) and founder of the Mughal (or Moghul) dynasty of India, a descendant of the Mongol conqueror Timur (Tamerlane). In 1526 he founded the Mughal Empire and dynasty, although it was Akbar the Great who turned what was really a kingdom into an empire. 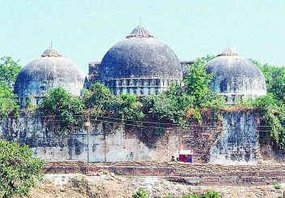 Babur allegedly built the Babri Mosque in Ayodhya, on the site of a Hindu temple that marked Ram's birthplace, in 1528. In 1992 Hindu fundamentalists destroyed the mosque, setting off riots throughout the sub-continent. Although there are many examples of harmony between India's Muslims and the majority Hindu community, and later Mughal Emperors especially Akbar the Great did much to promote this, Babur's legacy has impacted negatively on community relations in India. He was without doubt a sincere Muslim but his actions were not always based on the best interpretation of the teachings of Islam. Babur’s memoirs represent a significant contribution to literature, a pioneer work of autobiography. Zahir-ud-din Mohammad was known as Babur, derived from the common Indo-European word for "Beaver" (The notion that it comes from the Persian word Babr meaning “tiger” is erroneous; see Thackston 2002, 463). Babur was born February 14, 1483, in the Uzbekistan city of Andijan. Babur's native tongue was a Turkic language. Babur was a follower of Islam and believed very strongly in his religion. Babur was known to be incredibly strong and physically fit. As one of his exercises, Babur would carry two men, one on each of his shoulders, then run around and climb slopes. It is also believed that Babur swam through every major river in India, sometimes even against the current. Babur was a descendant of the famed Mongol warrior Timur. His grandfather was Timurid Empire Sultan Ulugh Beg. Babur's father, Omar Sheikh, was king of Ferghana, a district of modern Uzbekistan. Although Babur came from the Barlas tribe of Mongol origin, isolated members of the tribe had become Turks in language and manners through long residence in Turkish regions. Hence Babur, though called a Mughal (Mongol in Persian), drew most of his support from Turks, and the empire he founded was Turkish in character. Babur, though only 12 years of age, succeeded to the throne that Omar Sheikh had once held. Babur’s uncles attempted to dislodge him from this position, but they were unsuccessful. In 1497 Babur attacked and gained possession of the Uzbek city of Samarkand. A rebellion among Uzbek nobles robbed him of Fergana Valley, and while marching to recover it, his troops deserted him and he lost Samarkand. After some reverses, Babur regained both places. However, in 1501, his most formidable enemy, Muhammad Shaybani, Khan of the Uzbeks, defeated him in a great engagement and again he lost Samarkand. For three years, Babur built up an army so that he could recapture his lost territories. He managed to gather sufficient troops in 1504. After crossing the snowy Hindu Kush, Babur besieged and captured the strong city of Kabul. With this dexterous move, he gained a wealthy new kingdom and re-established his fortunes. In the following year, Babur united with Husayn Bayqarah of Herat against Muhammad Shaybani. The death of Husayn Bayqarah in 1506 put a stop to this expedition, but Babur spent a year at Herat, enjoying the pleasures of that capital. Babur returned to Kabul from Herat just in time to quell a formidable rebellion, but two years later a revolt among some of the leading Mughals drove him from his city. Babur was compelled to escape with his very few companions. 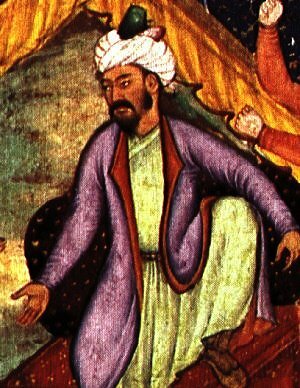 Babur soon returned to Kabul and struck the army of his opponents with such power that they returned to their allegiance to Babur and gave up the kingdom. Muhammad Shaybani died in 1510. Babur used this opportunity to regain his ancestral Timurid Empire territories. He received considerable aid from the Persian Safavid Empire's shah Ismail I, and in 1511 made a triumphant entry into Samarkand. However, he was defeated by the Uzbeks in 1514 and returned to Kabul with great difficulty. Babur now resigned all hopes of recovering Ferghana. Although he dreaded an invasion from the Uzbeks to the West, his attention increasingly turned to India. He had made several preliminary incursions when an opportunity presented itself for a more extended expedition in 1521. Ibrahim Lodi, sultan of the Indian Delhi Lodhi Sultanate, was detested and several of his Afghani nobles asked Babur for assistance. Babur immediately assembled a 12,000-man army, complete with limited artillery, and marched into India. Ibrahim advanced against Babur with 100,000 soldiers and one hundred elephants. Their great battle, the First Battle of Panipat, was fought on April 21, 1526. Ibrahim Lodi was slain and had his army routed, and Babur quickly took possession of Agra. A more formidable enemy awaited Babur. Rana Sanga of Mewar collected an enormous force of 210,000 men and attacked the invaders. Babur’s army was surrounded, tired, hot, and homesick. Babur managed to restore their courage but secretly did not believe he had a good chance of defeating Rana Sanga. Surprisingly, in the Battle of Khanua on March 16, 1527, Babur won a great victory and made himself absolute master of North India. In the Battle of Ghaghara River, on May 6, 1529, Babur defeated Mahmud Lodi, brother of Ibrahim Lodi, crushing all remaining North Indian resistance. Babur spent the later years of his life arranging affairs and revenues of his new empire, and improving his capital, Agra. Babur wrote his memoirs, the Baburnama, in the Turkish common language, Chagatai. During the end of Babur’s life, his son, Humayun, became deathly ill with little chance of survival. Babur was devastated and began to constantly pray for his son. In these prayers, which he recited while circumambulating his son, Babur said that he wanted to take the disease away from Humayun, and die in his place. Strangely enough, Babur’s prayers were "answered." Babur died at the age of 48 from this disease. Humayun inherited the throne. Babur is buried in Kabul, Afghanistan. The kingdom that Babur founded developed into the largest empire in India prior to the arrival of the European powers. The Mughal Empire was to contribute much to art and learning. Among the skills that were developed was that of book engraving, “incorporating techniques from as afield as China and Byzantium” (Thackston 2002, 1). Had Babur not established the empire, the Taj Mahal may never have been built. The empire's legacy today is seen in the world's second largest Muslim community, the Muslims of India, who chose (or whose ancestors chose) to remain in India instead of migrating to Pakistan in 1947. This community has largely opted for life in a secular democracy and in a religiously pluralist society, rather than in an Islamic state. The Sufi (mystical/devotional) tradition of Islam remains popular. The bhakti (devotion) tradition, especially Vaishnavism (also developed during the Mughal period), indeed began during Babur's reign and it has been suggested that without this, “Hinduism as a living practice would not be what it is [today]” (Thackston, ix). In fact, the mosque at Ayodhia became a place of accommodation between Muslims and Hindus, making its destruction ironic, when perhaps the beliefs of the Hindus who attacked it owe something to the type of Hinduism that was made possible by Hinduism's encounter with Islam (Thackston). The text says very little about what Babur did in or near Ayodhia and makes no mention of demolishing a Temple or building a mosque (viii). This does not mean that he did not, only that he left it out of his narrative. He is reported, however, to have shown Guru Nanak, whom his army briefly held in captivity, respect, falling “at his feet with the cry…on the face of this faqir, one sees God himself” (ix). Indian historian N. S. Rajaram, however, says that any attempt to whitewash his legacy “is an exercise in juvenile fantasy.” He took jihad to the extreme, as “a total war for the annihilation of his adversaries,” and this is “how we should see him”, as “more than ordinarily ruthless” even for his time. Thackston decribes Rajaram as a “deconstructionist of Indian ‘secular myths’ and an apologist for their destruction of the Babri Mosque.” Babur prided himself on being a ghazi, a holy warrior for Islam. For his part, Nanak denounced Babur's brutality and vandalism. Nanak was eyewitness to much other destruction: “temples as strong as thunderbolt were set on fire.” Nanak's message was one of harmony and brotherhood-sisterhood before the One God. This page was last modified on 4 December 2012, at 20:32.